Orta Doğu için hazırlanmış ilk Pa ürünü olarak standart Pa500'deki herşeyi ve daha fazlasını içeren bir klavyedir. Cihazın datası Orta Doğu'nun en iyi müzisyenleri tarafından hazırlanmıştır. Pa500ORT'nin en büyük özelliklerinden biri ise klavyeye ilave edilen Quarter Tone Sub Scale'dir. Ön panele bir adet minyatür klavye eklenmiş ve her tuşuna ışık göstergesi eklenmiştir. Bu sayede en yakın quarter tona gidecek notaların kullanıcı tarafından çabuk seçilmesi sağlanır. Bu fonksiyon her zaman kullanıma hazırdır. Ek olarak, dört preset düğmesi sayesinde en sık kullanılan Quarter Tone'lara tek dokunuşla geçilmesi mümkün kılınmıştır. Kanun, Ney, Ud, Kawala, Arap kemanları, 11 osilatörlü bir orkestra sesi, arap keman legato ve staccato, stereo keman ensemble, kanun tremolo, ud tremolo, mejwez, mezwed, yargohol, zukra, chubebe, zurna yanında tabla, req, tef, bendir, tabel, katem, kasur ve khishabah gibi perküsyon enstrümanları sesleri ve daha fazlası bulunmaktadır. Wahda, Maksum, Baladi, Ayoub, Masmudi, Samai 10/8 ve Saidi, Katakofti, Nawari, Fallhi, Laf gibi folk ritmleri yanında Tunus'tan (Fazzani, Ghita, Bounawara, Zaby / Sougua, Saadawi, Alleji), Mısır'dan (Karatchi, Issawi, Sahrawi Shaby), Irak'tan (Chuby, Gnuby, Gorgina, All Rub3, Khashaba) gibi bölgesel ritmler de içerir. Style Edit: Record ve Edit fonksiyonları, Gitar modu. Örneklemeler/Akor Varyasyonları: Her ritm için 3 Intro, 3 Ending, 3 Fill dahil 42'ye kadar örnekleme. XDS Double Sequencer: Her sequencer için ayrı kontrollar, Balance sürgüsü. Şarkı ile kaydedilebilir 4 STS: SongBook modunda. Dahili SSD Flash hafıza: O.S. ve müzikal kaynaklar için 16MB. Data depolama: Secure Digital (SD) ve MultiMedia (MMC) kartlariçin kart sürücüsü. Anfi sistemi: 2 x 15W. Hoparlörler: Bir çift 10cm'lik koni hoparlör. Boyutlar: 1074 x 404 x 183mm. Korg Arrangers have thrilled audiences and delighted players everywhere with the magic combination of unbeatable sound quality and professional features. Already one of the best selling Arrangers ever, the Pa500 combines hundreds of stunning sounds enhanced by our industry leading FX processors and driven by some of the most sophisticated and realistic music styles ever created. Coupled with Korgs powerful, but easy to use TouchScreen user interface and our technically innovative operating system, the Pa500 provides the power of the most expensive Korg arrangers but at an incredibly attractive price. Drawing from the inspiration provided by the thousands of musicians in the Middle East who already use Korg Pa products, we are proud to announce our first totally dedicated and specialized Pa Arranger product for the Middle East the Pa500ORT. The Pa500ORT has everything from the standard Pa500 and more! Produced by the best team of musicians from various countries in the Middle East, the Pa500ORT features a complete range of freshly produced instruments and styles showcasing the sounds that make Middle Eastern music so energetic and exciting, so seductive and enchanting. These new sounds and styles are in addition to all the sounds, styles, FX and other features of the Pa500. There are 104 new instruments used in traditional classical music: Kanon, Nay, Ud, Kawala, Arabic Strings as well as a special Orchestra sound with 11 Oscillators, Arabic strings Legato and Staccato, Stereo Strings Ensemble, Kanon Tremolo, Ud Tremolo, Timpani, Orchestra Crash, French Horn Ensemble. For folkmusic, there are instruments such as Mejwez, Mezwed, Yargohol, Zukra, Chubebe, Zurna, and 10 different Chabi sounds. The Pa500ORT has 805 dedicated drum samples featuring important instruments such as Tabla, Req, Daf, Bandir, Tabel, Katem, Kasur, Khishabah. And for a final touch of authenticity there are rich Voices such as: Halla, Yalla, Hey, Zagruta and more. Intro 1 Major / Arabic Scale Agam. Using Arabic Scale intro 1 Arabic Scale Rast. Intro 1 Minor / Arabic Scale Nahawand. Using Arabic Scale intro 1 Arabic Scale Bayati . Intro 2 Major / Arabic Scale Hijaz. Intro 2 Minor / Arabic Scale Kurd. Ending 1 and ending 2 are the same as intro = 6 different ending. Ending 3 Major and Minor. Tunisia: Fazzani, Ghita, Bounawara, Zaby / Sougua, Saadawi, Alleji. Morocco; Karatchi, Issawi, Sahrawi Shaby. Iraq; Chuby, Gnuby, Gorgina, All Rub3, Khashaba. Khaligi such as; Khaligi Rumba, Khbeaty, Bandary, Dosary, Shaby and more. And these are in addition to the hundreds of great onboard styles from the standard Pa500. The Pa500ORT also provides 128 Oriental PADS. These PADS also work with the Arabic Scale. QUARTER TONE SCALE: Developed especially for Korg Pa500ORT is the quarter tone scale function. Quarter tone selection is a direct selection. For example, when the user wants to select E Quarter note he only has to press the E button in the Arabic Sub Scale and the note is available. JOYSTICK: So many of the keyboard players in the Middle East have told us they prefer the famous Korg joystick to using wheels for pitch bend and modulation. The Pa500ORT joystick can be used to create different scales in realtime besides the normal pitch and modulation controls! Powered by the inspirationally RX Technology, the Pa500ORT performs so the audience and performers will Listen - and Believe. For the musician, composer, performer and entertainer, the interactive Pa500 is the perfect musical partner. Like its big brothers the Pa800 and the Pa2XPro the Pa500 uses our RX (Real eXperience) technology to deliver a sound unprecedented in an arranger keyboard. 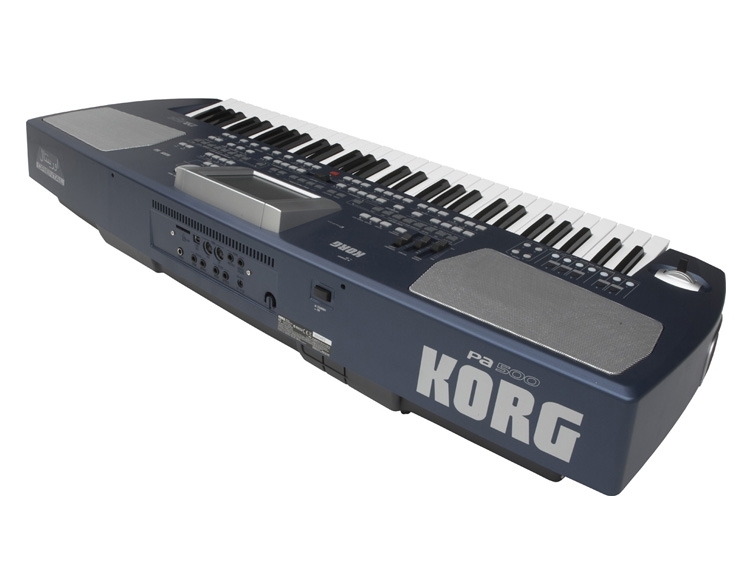 With exclusive Korg features such as the XDS Dual Sequencer, intuitive TouchView interface, quarter-tone on-the-fly and a four way joystick for realistic articulation, the only thing really missing is a big price tag. It all begins with sound. Based on the EDS (Extended Definition Synthesis) engine found in the Korg M3, Pa800 and Pa2XPro, the Pa500 provides 80 voices of polyphony and a breathtaking quality of sound. Over 880 fully editable sounds are preloaded (including a full GM soundset and 56 drumkits), representing a full range of musical instruments from almost every genre - each exploding with depth, nuance, subtlety, accuracy and richness. The User area has space for up to 128 user sounds and 64 drum kits. For many years, Korg workstations, synthesizers and digital recording studios have included outstanding studio quality effects that are simply breathtaking. In that same tradition, the Pa500 offers four stereo processors plus a Final semi parametric three band EQ containing a treasure trove of effects, from rich reverbs and dazzling delays to guitar-type modeling effects from Korgs renowned REMS series 124 different effects in all. And youll appreciate the separate three-band EQ on each track so you can shape the tone for that perfect sound. No doubt: Korgs Style programming is world class. The Pa500 delivers a deluxe set of styles, programmed by some of the leading arrangers in the world; each of whom worked according to their musical strengths. The result is over 320 preloaded Styles that provide unparalleled realism and detail, adding anything from tasteful guitar picking, a tight bass and drum groove, a powerhouse R & B rhythm section all the way up to a full orchestra! Styles follow your timing, voice leading and chord changes to create an amazingly defined musical performance in real-time. With up to eight parts, four variations, three intros/count-in, three fills/break and three endings, each Style is a complete musical environment. Additional parts or riffs can be sequenced and triggered in real time using the assignable Pads. Advanced features such as Syncro Start/Stop, Fade In/Out, Assignable Pads, Tap Tempo and Manual Bass allow you to spontaneously add complex and professional touches to your performances. Creating convincing guitar parts from a keyboard has never been easy until now! When creating a guitar part for your Style, you can chose a chord, capo position, and literally transform the keyboard into the fretted strings of the chord to allow realistic picking patterns, strums, chokes, slides, hammer-ons and other guitar-specific artifacts. The result is stunning. Best of all, the Pa500 can automatically enhance the guitar tracks of existing Standard Midi Files. Need to switch sounds fast? Four STS (Single Touch Settings) buttons allow you to have up to four sounds split and layered across the keyboard and switch them all instantly with a single button press. The STS assignments can be saved independently for each Style. Each of the 256 Performance settings can instantly recall the Style, Sounds, effects, tempo, key and scale used to perform a particular song. arrangers and non-keyboardists. This quick approach to programming is also useful in the studio for creating professional, great-sounding backing music for commercial, film, video, multimedia or internet applications. The sequencer provides massive editing power you can even edit the tone parameters of each track. With Korgs XDS Dual Sequencer, one can load as the other plays, and a DJ-style cross fader can blend between them, providing a seamless, continuous musical performance. The Pa500 can playback SMF (Standard Midi File), Karaoke files, and GM (General MIDI) files - and is able to display lyrics in most popular karaoke formats. There is also a practical Marker function to allow you to jump directly to a given position in the song: you can fix the markers using the internal sequencer (or using a computer based one - the marker format is standard) and then remix your favorite songs during a live performance for added spontaneity. The exciting SongBook feature was developed to make your life easier while playing live. Style, Performance, Volumes, Muted Tracks, FX settings, Easy Edit, STS settings, Master Transpose and more. This indispensable musical feature is unique to Korg. With all the technological power packed inside, it was vital that we also made the Pa500 easy to understand and easy to use. 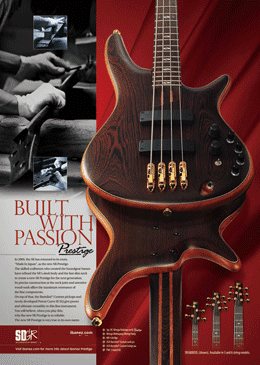 But we went even further, creating an instrument that provides an intuitive, musical, fast, foolproof experience. With our amazing TouchView display you can simply think, see and touch the panel for easy and intuitive control. So that musicians of all levels can make great music quickly, there are two interface modes: Easy and Expert. The Easy mode shows only the essential elements with bright, bold icons - useful for beginners or playing live while Expert mode provides full editing control. And when you need more information, check out the on-board contextual Help System in any of seven languages! In addition to 61-velocity sensing keys, the Pa500 provides a four-way joystick, assignable switch, assignable slider, assignable pedal jack and four pads provide the tools to spice up your performance by changing effect settings, adding or muting parts, slowing the tempo, or even adding mini-sequenced solo, arpeggio, or backing riffs. Nothing stands between you and your professional performance. In addition to providing a USB/MIDI computer connection for moving and saving data, the Pa500 can also save and read data from SD / MMC memory cards for instant access to your custom data, MIDI files and songs. The back panel also features MIDI (In, Out), Audio Ins (1, 2) and Outs (L, R), headphone jack, plus a damper pedal and an assignable pedal connection. Hiding inside is a full stereo sound system with two double cone speakers in a bass reflex enclosure for the best sound in a small box. The Pa500 is completely self-contained and easily transportable whether rushing to perform live in front of any size audience, jamming with friends, or teaching a new tune to the other players. We couldnt fit any more fun in here if we tried. 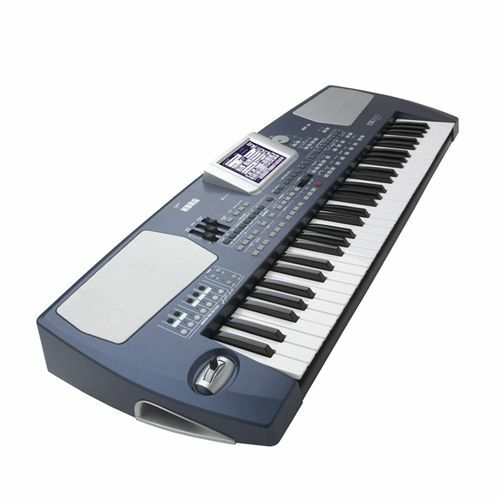 A History of Innovation, Twenty-five years ago, Korg introduced the first interactive keyboard - the SAS 20. In the years that followed, the i-Series, iS-Series and the Pa Series have defined the interactive workstation category and set the standard for excellence. Every day, tens of thousands of musicians worldwide make one of Korgs Pa keyboards their musical partner. The combination of breath-taking sound quality, professional features and musical versatility - teamed with our powerful Style engine - provides the perfect instrument to satisfy all of your musical ambitions. "Baby Blue" - The Professional Arranger At An Entry Level Price, For the musician, composer, performer and entertainer, the interactive Pa500 is the perfect musical partner. Like its big brothers the Pa800 and the Pa2XPro the Pa500 uses our RX (Real eXperience) technology to deliver a sound unprecedented in an arranger keyboard. In addition, the Pa500 combines hundreds of stunning sounds enhanced by our industry leading FX processors and driven by some of the most sophisticated and realistic music Styles ever created. With exclusive Korg features such as the XDS Dual Sequencer, intuitive TouchView interface, and a four way joystick for realistic articulation, the only thing really missing is a big price tag. THE PA500 Oriental Music is the Universal Language. True enough, but it helps to know the local dialects. To that end, Korg has created the PA500 Oriental (PA500 ORT), our first totally dedicated and specialized PA instrument designed for and by Middle Eastern musicians. The PA500 Oriental includes everything from the standard Pa500 and more! In creating the PA500 Oriental, Korg drew inspiration from the thousands of musicians in the Middle East who already use Korg Pa products. Produced by a team of the best musicians from various countries in the Middle East, the PA500 Oriental features a complete range of freshly produced instruments and Styles showcasing the sounds that make Middle Eastern music so energetic and exciting, so seductive and enchanting. These new sounds and Styles are provided in addition to all the sounds, Styles, FX and other features of the standard Pa500. Quarter Tone Sub Scale: Surely one of the most significant features of the PA500 Oriental is the addition of the Quarter Tone Sub Scale keyboard. A miniature keyboard has been added to the front panel; and each key is equipped with an LED indicator. This allows the user to quickly select the notes that will be flatted to the nearest Quarter Tone. This function is always available, so that the Quarter Tone selection can be made quickly and on the fly during performance. 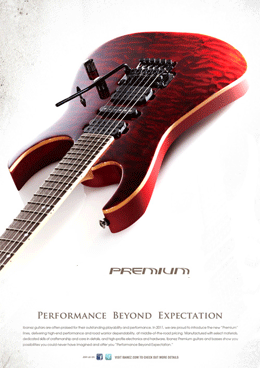 In addition, four preset buttons provide one-touch access to the most commonly used Quarter Tone scales. Joystick: Many of the keyboard players in the Middle East have told us they prefer using the famous Korg joystick for pitch bend and modulation, rather than using wheels. The PA500 Oriental joystick can be used to create different scales in real time, in addition to providing the normal pitch and modulation controls! Sounds: There are 104 new instruments used in traditional classical music: Kanon, Nay, Ud, Kawala, Arabic Strings as well as a special Orchestra sound with 11 Oscillators, Arabic strings (Legato and Staccato), Stereo Strings Ensemble, Kanon Tremolo, Ud Tremolo, Timpani, Orchestra Crash, and French Horn Ensemble. For folk music, we've added instruments such as Mejwez, Mezwed, Yargohol, Zukra, Chubebe, Zurna, and 10 different Chabi sounds. The PA500 Oriental also provides 805 dedicated drum samples featuring important instruments such as Tabla, Req, Daf, Bandir, Tabel, Katem, Kasur, and Khishabah. And for a final touch of authenticity, there are rich Voices such as Halla, Yalla, Hey, Zagruta and more. Tunisia; Fazzani, Ghita, Bounawara, Zaby / Sougua, Saadawi, Alleji. Morocco; Karatchi, Issawi, Sahrawi Shaby. Iraq; Chuby, Gnuby, Gorgina, All Rub3, Khashaba. Khaligi; Khaligi Rumba, Khbeaty, Bandary, Dosary, Shaby and more. Stunning Sound, It all begins with sound. Based on the EDS (Extended Definition Synthesis) engine found in the Korg M3, M50, Pa800 and Pa2XPro, the PA500 Oriental provides 80 voices of polyphony and a breathtaking quality of sound. Over 1,024 fully editable sounds are preloaded (including a full GM soundset and nearly 100 drumkits), representing a full range of musical instruments from almost every genre - each exploding with depth, nuance, subtlety, accuracy and richness. This includes all of the additional Middle Eastern sounds unique to the PA500 Oriental. Effects Everywhere, For many years, Korg workstations, synthesizers and digital recording studios have included outstanding studio quality effects that are simply breathtaking. In that same tradition, the PA500 Oriental offers four stereo processors plus a Final semi-parametric three band EQ containing a treasure trove of effects, from rich reverbs and dazzling delays to guitar-type modeling effects from Korgs renowned REMS series 124 different effects in all. And youll appreciate the separate three-band EQ on each track so you can shape the tone for that perfect sound. Done With Style, No doubt: Korgs Style programming is world class. The PA500 Oriental delivers a deluxe set of Styles, programmed by some of the leading arrangers in the world; each of whom worked according to their musical strengths. With the addition to the Middle Eastern Styles, the PA500 Oriental contains over 300 preloaded Styles that provide unparalleled realism and detail, adding anything from tasteful guitar picking, a tight bass and drum groove, a powerhouse R & B rhythm section all the way up to a full orchestra! Styles follow your timing, voice leading and chord changes to create an amazingly defined musical performance in real-time. With up to eight parts, four variations, three intros/count-in, three fills/break and three endings, each Style is a complete musical environment. Additional parts or "riffs" can be sequenced and triggered in real time using the assignable Pads. Advanced features such as Syncro Start/Stop, Fade In/Out, Assignable Pads, Tap Tempo and Manual Bass allow you to spontaneously add complex and professional touches to your performances. 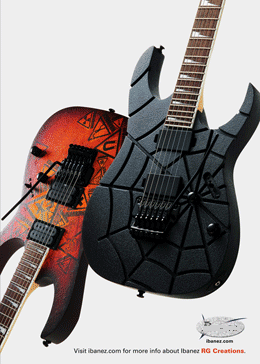 Guitar Mode, Creating convincing guitar parts from a keyboard has never been easy until now! When creating a guitar part for your Style, you can chose a chord, capo position, and literally transform the keyboard into the fretted strings of the chord to allow realistic picking patterns, strums, chokes, slides, hammer-ons and other "guitar-specific" artifacts. The result is stunning. 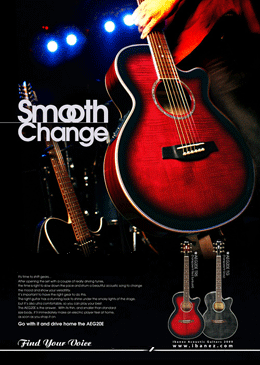 Best of all, the PA500 Oriental can automatically enhance the guitar tracks of existing Standard Midi Files. All Together Now, Need to switch sounds fast? Four STS (Single Touch Settings) buttons allow you to have up to four sounds split and layered across the keyboard and switch them all instantly with a single button press. The STS assignments can be saved independently for each Style. Each of the 256 Performance settings can instantly recall the Style, Sounds, effects, tempo, key and scale used to perform a particular song. Creative Sequencing Scenarios, In addition to traditional "track at a time" workstation sequencing, the Backing Sequencer allows you to create songs quickly and easily by capturing multiple Style driven parts at once. You don't need to be a master programmer even beginners can write their own song in minutes. In fact, you dont even need to play at all! Using the Step Edit/Entry feature, you can simply type in the chord changes, fills and Style changes in step-time a big boost for arrangers and non-keyboardists. This quick approach to programming is also useful in the studio for creating professional, great-sounding backing music for commercial, film, video, multimedia or internet applications. The sequencer provides massive editing power you can even edit the tone parameters of each track. Non-Stop Entertainment, With Korgs XDS Dual Sequencer, one can load as the other plays, and a DJ-style cross fader can blend between them, providing a seamless, continuous musical performance. The PA500 Oriental can playback SMF (Standard Midi File), Karaoke files, and GM (General MIDI) files - and is able to display lyrics in most popular karaoke formats. There is also a practical Marker function to allow you to jump directly to a given position in the song: you can fix the markers using the internal sequencer (or using a computer based one - the marker format is standard) and then remix your favorite songs during a live performance for added spontaneity. Expanding SongBook, The exciting SongBook feature was developed to make your life easier while playing live. The SongBook is a Musical Database, completely user programmable, containing all the settings needed to play a particular song. You have only to search for the song you would like to play by Song Title, Genre, Artist, Tempo, etc. and press "play". Each SongBook entry will instantly recall every setting youve saved in order to play that song perfectly Sounds, Style, Performance, Volumes, Muted Tracks, FX settings, Easy Edit, STS settings, Master Transpose and more. This indispensable musical feature is unique to Korg. Less Is More, With all the technological power packed inside, it was vital that we also made the PA500 Oriental easy to understand and easy to use. But we went even further, creating an instrument that provides an intuitive, musical, fast, foolproof experience. With our amazing TouchView display you can simply think, see and touch the panel for easy and intuitive control. So that musicians of all levels can make great music quickly, there are two interface modes: Easy and Expert. The Easy mode shows only the essential elements with bright, bold icons - useful for beginners or playing live while Expert mode provides full editing control. And when you need more information, check out the on-board contextual Help System in any of seven languages! In addition to 61-velocity sensing keys, the PA500 Oriental provides a four-way joystick, assignable switch, assignable slider, assignable pedal jack and four pads provide the tools to spice up your performance by changing effect settings, adding or muting parts, slowing the tempo, or even adding "mini-sequenced" solo, arpeggio, or backing riffs. Nothing stands between you and your professional performance. Save It For Later, In addition to providing a USB/MIDI computer connection for moving and saving data, the PA500 Oriental can also save and read data from SD / MMC memory cards for instant access to your custom data, MIDI files and songs. The back panel also features MIDI (In, Out), Audio Ins (1, 2) and Outs (L, R), headphone jack, plus a damper pedal and an assignable pedal connection.